Monster- From Gear's followers, he is basically very, very stupid though Doctor Man admitted he only created him for power. I thought that even after being reprogrammed, he maintains some comical value though I'll credit he hi-jacked the Bio Turbo with Juuoh's help in the quest for speed. Almost every episode about him, he is plain stupid. Doctor Man- Yup I'd agree this guy is pretty entertaining. Okay he's not really the best mad scientist out there but as a kid, I always thought this guy was not only scary but also he basically overshadows the rest of this empire because he's just freaking entertaining. The death of Mika Koizumi- Yup a real tearjerker. I remembered my mom telling me that Mika's death proved heroes were not invincible and were just humans. I really felt sad watching that episode. Tears. Yep Mika's death as a really sad episode for me especially when I thought of it, I was excited to see how the show was going to write her. Good thing though Jun Yabuki managed to take her place and continue the job left behind. Also in Akibaranger, her spirit went with Naoto and Mikoto to fetch the Akibarangers back to the afterlife. Ninja Sentai Kakuranger- This is the third of the late Noboru Sugimura's works (the first was Zyuranger and the second was Dairanger). Kakuranger utilized much of Japanese elements such as ninjas and the monsters were basically all based on Japanese mythology which the narrator introduces whenever he's around. It also had a Japanese version of Journey to the West added as well. 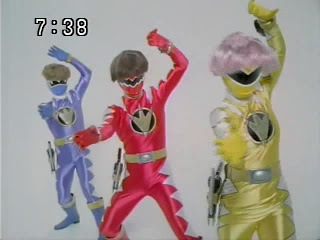 The whole series in itself was pretty much the first Japanese themed Sentai. The series in itself also featured classic cartoony special effects likle "Thwok" and "Thump" during battle though I wish they were written in Japanese instead. My complaint about this series was why Gasha Skull was killed off so soon because I wish he could have fought side by side with his father Daimaou but oh well. Both of them seemed to like to retake on past works of other writers and managed to create two great series namely Jetman and Gingaman. 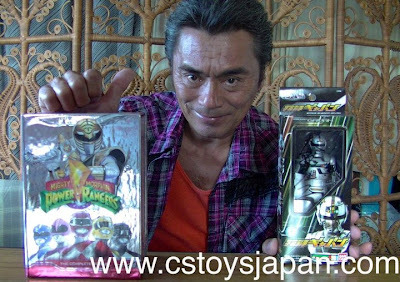 Clarification: Kenji Ohba DOES NOT Call Power Rangers Fake! It's really something whenever these fan wars are triggered and so on. So far, I have seen the interview and okay even if CSToys is the endorser but the fact he wished Power Rangers luck proves he's NOT against it and two, doesn't mean he says it's been recreated (as shown in the Youtube video) doesn't mean it's fake. Bootlegs are UNLICENSED reproduction, Toei gives Saban the permission to produce Power Rangers and if you read the opening or ending credits, Toei acknowledges the existence of these so-called "bootlegs" that they have licensed it or like in the Power Rangers credits that say things like, "Based on Samurai Sentai Shinkenger" which again, it can't be plagiarism either because it acknowledges its life source and Saban can call it as "Saban's Power Rangers" since the name was approved by Toei at the same time for his use, so yeah please note that Super Sentai is not Power Rangers. Black Cross Fuehrer from Goranger- Well I would admit he does have some creepy aura to him. Fuehrer Taboo from Goggle V- I would say that guy does look creepy. Doctor Man from Bioman- Well this guy is a cool mad villain but also for me, a nightmare fuel. I really tend to get scared whenever this guy gets angry and he got even creepier when he remade himself into a completely metallic being. In Bioman episode 28, I'd say that scene where he revealed he was still alive was pretty freaky. Queen Ahames from Changeman- Power-hungry, extremely crazy I think there's much about her that makes her a really scary villain. After all, she made the Changemen's lives more miserable than it already was when she arrived. You have to consider she's got a pretty frightful personality as well. Super Sentai humor and Power Rangers humor is usually based on possible cultural differences, I felt like the need to understand them. American humor tends to on repeated stupidity and humiliation like Rita Repulsa keeps getting headaches almost every episode. Japanese humor tends to be based on genuine mistakes causing embarrassment which tend not to be overly done (ex. 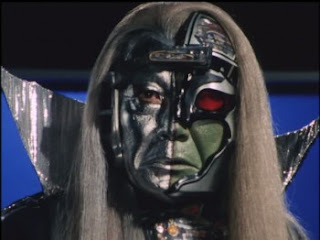 Bandora's headaches are very seldom done). Now it's time to take a look at how humor is carried out between the two genres and at the same time, I'd consider this an analysis on how I should write humor. If you take a look at how comic relief characters are done in Super Sentai and Power Rangers, you might notice how one relies on genuine mistakes causing embarrassment (but the characters do develop) and the other relies on repeated stupidity and humiliation. 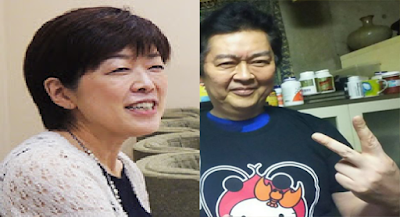 At the same time, I could talk about the contribution of the plot of these characters. Yup it was a very sad way to end it. The clip show done at the end of Season Tsuu really made me sad to think that I see Hiroyo Hakase sad at the death of the Akibarangers. So Hatte Saburo could bring them back if he wanted, though something needs some explanation though if they were brought back. I just thought seeing Mikoto, Mika and Naoto (in suit) bring back the Akibarangers to Heaven was sad. I even wanted to pat Hiroyo Hakase' shoulder or let her lean on mine during her memorial of the Akibarangers in the clip show. Doctor Man- He's a cool villain yes and I'll admit this guy got me scared as a kid. While watching Bioman, seldom I hid under a blanket while my mother would tell me he's not real. 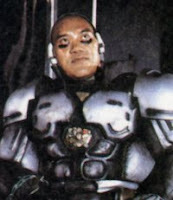 What I find creepy about this guy was not only the actor's makeup but also his temper. He became creepier to me when his backstory was revealed. Emperor Zeba- Another villain I was pretty scared of was Emperor Zeba. Yup this guy is just a lot of nightmare fuel. While Kiros was a cool character, Zeba was really nightmare fuel for me. Everything about this guy and every development he gets was plain scary. Are Super Sentai Rangers Good Role Models Despite Flaws? Well based on Henshin Grid's post about the Power Rangers as role models, I thought I'll do a Super Sentai one. There are no perfect characters, to make a story better flaws are needed. It's sort of a 3D thing and I would admit as a writer, I tend to make things one dimensional. Slacking off. Some rangers tend to slack off at times. In Maskman, Akira was seldom not serious with himself though he got better and same with Chiaki. 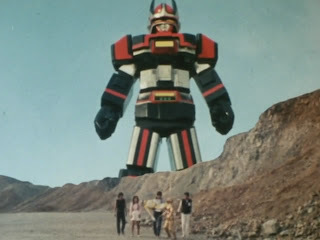 Is Super Sentai's Direction Taking For the Worse?